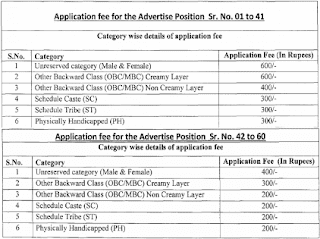 Contenders should Possess 12th With Diploma / Graduation Degree/ Master Degree/B.Sc. Nursing / M.Sc. Nursing / B.Tech in IT/Computer Science / Electronics / Communication Engineer / PGDCA/ MBA / B.Pharma/D.Pharma /Bachelor in Audiology & Speech language Pathology / B.Sc (Speech and hearing) / LLB Degree / MCA / B.Sc with DMLT /BDS/ BAMS/ BHMS/ / BUMS/ M.Com /MBBS with Diploma /MD in Microbiology / PhD in Medical Microbiology / M.Sc. in Medical Microbiology / CA / ICWA / CFA from an accredited board / university or institute. Age of the Applicants should be less or equal to 45 Years (Post 1-36,39-41,51), 40 Years (Post 37,38,42-50,52-60) counted from 01-01-2018. On placement in NHM, candidates will draw Total Emoluments in pay scale of Rs. 80000/- (Post 1), Rs. 60000/- (Post 2-4), Rs. 50000/- (Post 5,6), Rs. 45000/- (7-9), Rs. 43000/- (10-13), Rs. 40000/- (Post 14,15), Rs. 38000/- (Post 16,17), Rs. 30000/- (Post 18-22), Rs. 28000/- (Post 23), Rs. 25000/- (Post 24-30), Rs. 24500/- (Post 31), Rs. 23000/- (Post 32), Rs. 22000/- (Post 33), Rs. 20000/- (Post 34-36), Rs. 19000/- (Post 37-39), Rs. 16800/- (Post 40,41), Rs. 15000/- (Post 42-51), Rs. 14300/- (Post 52), Rs. 12000/- (Post 53), Rs. 10000/- (Post 54), Rs. 9000/- (Post 55), Rs. 8500/- (Post 56), Rs. 8000/- (Post 57,58), Rs. 7500/- (Post 59,60) Per month as per post and Grade pay. How to Apply: Candidates aspiring to join will be required to ready with all details regarding your name, Address, Qualification details, experience details, upload photograph & signature etc. and submit the application form online available at official website www.rajswasthya.nic.in on or before 31st March 2018.